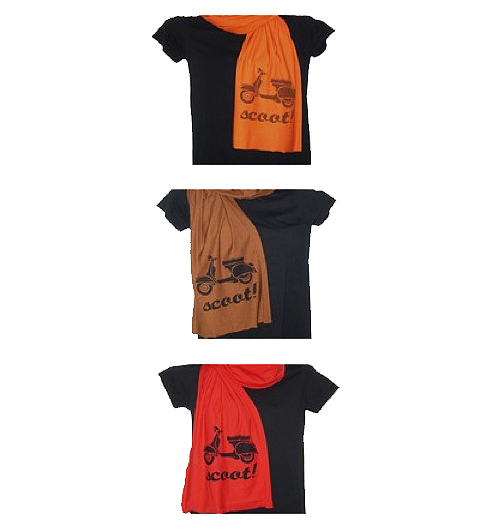 We featured this scoot-friendly designer awhile back and she’s come out with some new scarves in zippy colors. Thanks to Art By Mags for cluing us in on her new merc. 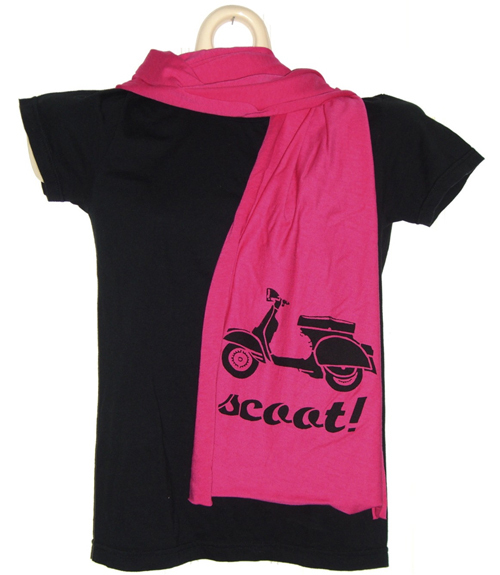 This entry was posted in Clothing and tagged scarf, scoot, scooter, vespa by Tracy. Bookmark the permalink.